I'm getting so interested in making bento. No schooler yet but maybe for hubby. Wow! Does she eat the tomatoes? My kids think the world will end if the eat tomatoes hahaha! 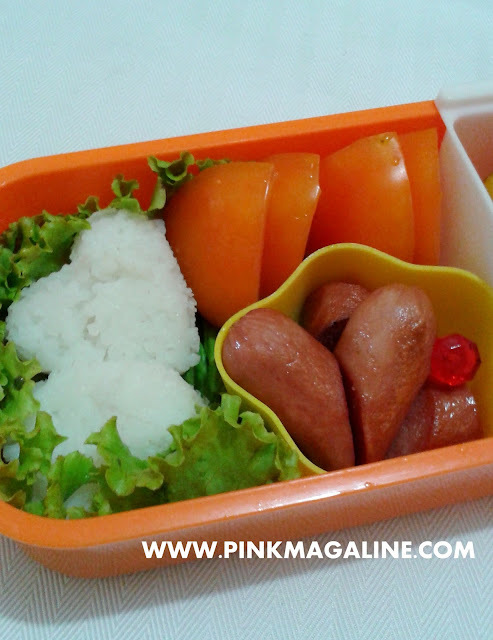 AndI truly do not make bento lunches. Tried once. Disaster! Simple but cute and healthy! I don't have a schooler yet and I'm planning to homeschool pa talaga so I may probably be able to try my hand at bento in several years pa! Simple and colorful! We do food art naman at home since our 3-year old son is homeschooled. 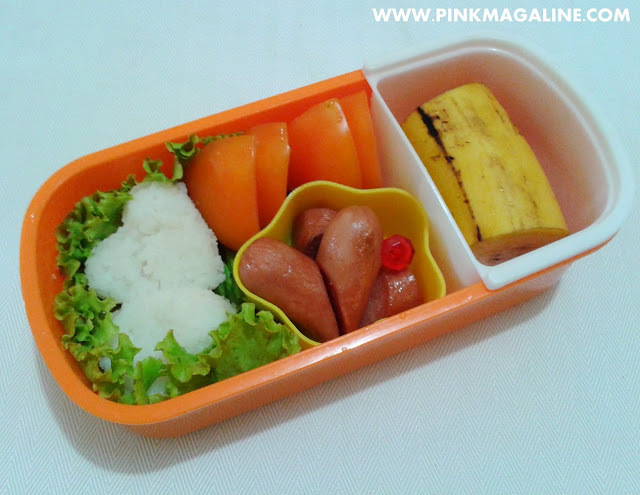 Naku another pretty bento creation. Ang cute.